This Sept. 5, 2017 photo shows Grinnell Glacier in Glacier National Park in Montana. 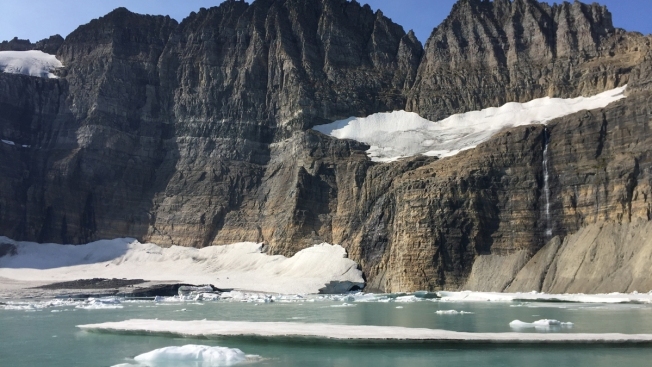 The National Park Service has said that the park's glacial ice sheets are a fraction of the size they were 100 years ago, and they are melting so fast they will all be gone by 2030. A study published Monday, April 8, 2019, found that the world's glaciers are losing 369 billion tons of ice and snow each year. The glaciers shrinking fastest are in central Europe, the Caucasus region, western Canada, the U.S. Lower 48 states, New Zealand and near the tropics. Glaciers in these places on average are losing more than 1 percent of their mass each year, according to the study in Monday's Nature journal.